Le Club AccorHotels welcomes Banyan Tree Hotels & Resorts’ branded properties into its loyalty program worldwide. To celebrate the launch, members can enjoy four times the Rewards Points for stays at Banyan Tree, Angsana and Cassia properties worldwide during the offer period when they book by 24 February 2019 for stays until 14 April 2019. Elite members of Le Club Accorhotels will also enjoy member benefits and privileges to make their stays even more special as the program is about truly recognising loyalty members with personalised services when they stay at Banyan Tree Hotels & Resorts. AccorHotels and Banyan Tree announced a strategic long-term partnership in December 2016 whereby both groups will collaborate to develop and manage Banyan Tree-branded hotels around the world. The partnership also gives Banyan Tree access to AccorHotels’ global reservation and sales networks as well as the renowned Le Club AccorHotels loyalty program. There are currently 48 properties under the Banyan Tree Hotels & Resorts’ global network, of which 37 will take part in the Le Club AccorHotels loyalty program. “The integration of Banyan Tree’s branded properties into Le Club AccorHotels is a joyous occasion for us and we hope that this partnership will give our members an opportunity to accrue Rewards points for their stays and enjoy the unique offerings which Banyan Tree, Angsana and Cassia hotels have to offer,” said Henrik Berglind, Vice President Loyalty Asia Pacific. Winner of the Freddie Award for Best Loyalty Program for two years in a row (2015, 2016) in Asia, Australasia, Europe, Africa and Middle East and this year named Best Program for the third year running in Europe/Africa, Le Club Accorhotels is the pioneering hotel loyalty program which allows members to use their points at over 3,500 hotels in 100 countries across 20 brands. The program has over 53 million members globally with 16 million members in Asia Pacific. AccorHotels is a world-leading travel & lifestyle group and digital innovator offering unique experiences in more than 4,600 hotels, resorts and residences across 100 different countries. With an unrivaled portfolio of internationally renowned hotel brands encompassing the entire range from luxury to economy, from upscale to lifestyle and midscale brands, AccorHotels has been providing savoir-faire and expertise for more than 50 years. The Group is also active in the fields of concierge services, co-working, dining, events management and digital solutions. Relying on its global team of more than 250,000 dedicated staff, AccorHotels is committed to fulfilling its primary mission: to make every guest Feel Welcome. Guests have access to one of the world’s most attractive hotel loyalty programs – Le Club AccorHotels. AccorHotels plays an active role in its local communities and is committed to promoting sustainable development and solidarity through PLANET 21 Acting Here, a comprehensive program that brings together employees, guests and partners to drive sustainable growth. From 2008, the AccorHotels Solidarity Endowment Fund has acted as a natural extension of the Group’s activities and values, helping to combat the social and financial exclusion experienced by the most disadvantaged members of society. Accor SA is publicly listed on the Euronext Paris Stock Exchange (ISIN code: FR0000120404) and on the OTC Market (Ticker: ACRFY) in the United States. For more information or to make a reservation, please visit accorhotels.group or accorhotels.com. Or join and follow us on Twitter and Facebook. Banyan Tree Holdings Limited (“Banyan Tree” or the “Group”) is a leading international operator and developer of premium resorts, hotels, residences and spas, with 48 hotels and resorts, 61 spas, 73 retail galleries, and three golf courses in 25 countries. Each resort typically has between 75 to 300 rooms and commands room rates at the higher end of each property’s particular market. The Group’s primary business is centered on four brands: the award-winning Banyan Tree and Angsana, as well as newly established Cassia and Dhawa. Banyan Tree also operates the leading integrated resort in Thailand – Laguna Phuket — through the Group’s subsidiary, Laguna Resorts & Hotels Public Company Limited. 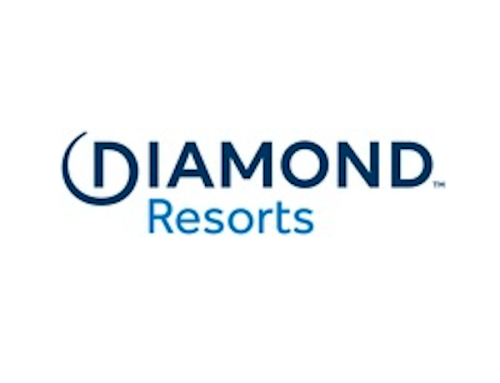 Two other integrated resorts – Laguna Bintan in Indonesia and Laguna Lăng Cô in Central Vietnam – complete the status of the Group as the leading operator of integrated resorts in Asia. 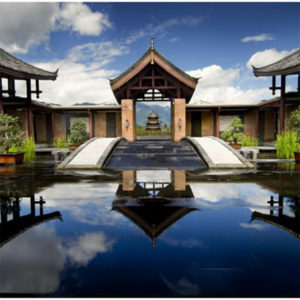 As a leading operator of spas in Asia, Banyan Tree’s spas are one of the key features in their resorts and hotels. Its retail arm Banyan Tree Gallery complements and reinforces the branding of the resort, hotel and spa operations. Since the launch of the first Banyan Tree resort, Banyan Tree Phuket, in 1994, Banyan Tree has received over 2380 awards and accolades for the resorts, hotels and spas that the Group manages. The Group has also received recognition for its commitment to sustainability for environmental protection and emphasis on corporate social responsibility. In addition to its currently operating hotels, resorts, spas and golf courses, the Group currently has 20 hotels and resorts under construction, and another 26 under development.